The Ultimate Direction Ultra Pant V2 is all the great features of the Ultra Jacket 2.0 in pant form! They are designed to keep you dry during intense activity - no sweat. 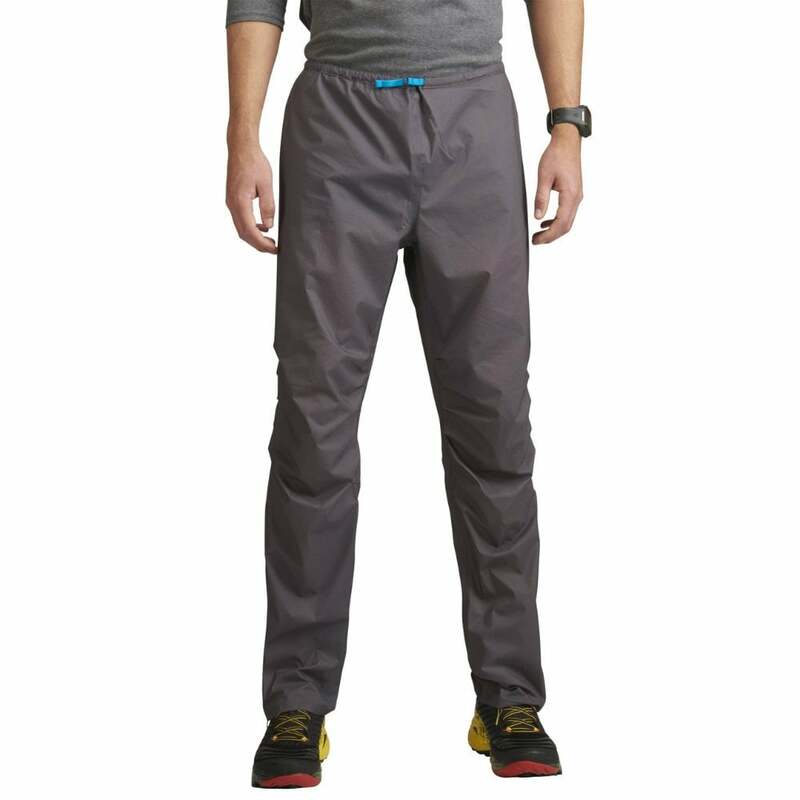 This waterproof-breathable men's ultra running pants exceed the breathability and waterproof standards required by the Ultra Tour du Mont Blanch. The UD Ultra Pant V2 has an elasticated waistband with draw-cord, an internal storage pocket, long zipped fully-taped leg openings for easy on/off and stretch fabric.